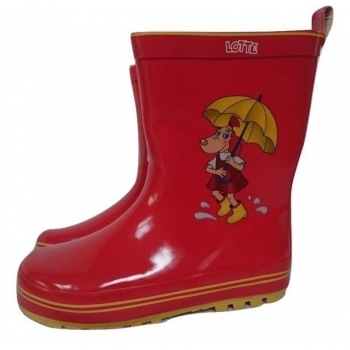 Bright-colored Lotte wellies are from durable material. Folded skirt with Lotte sign. Drawstring waistband. Pink girls t-shirt with Lotte picture. Choose exact size to see availability! Comfortable 3/4 pants with practical pockets.